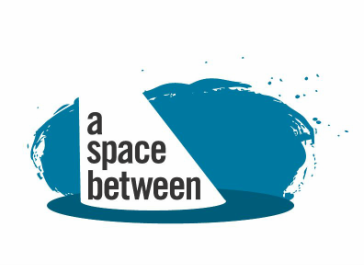 a space between was founded in 2010 and produced its first work, The Red Dress, in 2012 at Clemente Soto Velez Cultural and Educational Center. The Red Dress will be remounted in November 2015 as part of the University Settlement season and will tour to community programs throughout the New York metropolitan area in 2016.
a space between is comprised of circus performers, storytellers, puppeteers, actors, singers, directors and playwrights. We began our work together as teaching artists for the same theater company. As teaching artists, we were actively developing quality curriculum and teaching plans and were striving to be the most highly trained and professionally competent teaching artists we could be. Each of us also works independently on our own artistic pursuits. And yet, there was something missing in our teaching artist experience and ensemble work. We began to recognize that we wanted to work together artistically in addition to partnering in educational settings. We wanted to create new work that gives voice to young people, but is appealing and meaningful to all. In 2010 we embarked on our journey by meeting together once a week to simply play around artistically. We improvised and devised small scenes and vignettes around topics that interested us and that might speak to a youth-centered experience. Themes included dating, sexuality, bullying, drugs, love, parental relationships, and friendship. We tried to keep the work authentic and close to who we are today as adults. By the end of six months, we had an invited performance sharing at a rehearsal studio and received feedback from respected colleagues. Through this feedback and our own reflections, we discovered that our company had developed a strong artistic aesthetic. We realized that we had formed a collective of like-minded collaborators and that we needed to keep working to make these small moments and vignettes into something more fleshed out, more concrete, and more clear. We reconvened in the fall of 2011 and drew from personal memories and experiences to devise vignettes, physical images and movement that looked at a teenage girl’s experience around coming to terms with herself as a sexual being, and all the people in her life that influence and affect her burgeoning sexuality. Eventually, through further devising, reflection, revising, shaping, and final playwriting, the story of The Red Dress emerged.